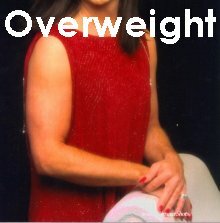 I can't begin to add up the number of inquiries I've received regarding how I slimmed my arms - to a more feminine size. Many t-girls face one - of two challenges - with their arms. Either the are overly muscular - or overweight. Sadly, I faced both these dilemmas during my quest towards a reasonably feminine appearance. 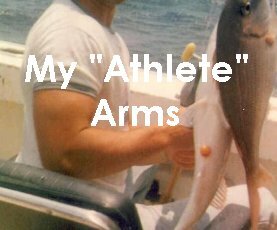 Through trial and error - I discovered means to reduce my biceps to a more feminine size & shape. I decided to include my program - for those of you who are concerned with this feature. Make no mistake - it can take a pretty long time to slim arms. It requires a conscious effort in your daily activities, your exercise - even your posture. The way you slim your arms - for either excessive muscularity or extra weight - is roughly the same process. #1 Remain Arm Conscious - The most important criteria is to be highly aware - and avoid - daily routines which might build your biceps. If your work requires such activity - you're screwed - sorry. ((hugs)) Your goal is simple - don't use your arms. I mean it! You must make a conscious effort not to do muscle building work. #1. High Volume Pullovers - Did you read about the pullovers in my exercise section? If slimming your arms is a big goal of yours - I want you to reduce the weight on the dumbbell - and focus on achieving about 50 continuous repetitions in your program. This high volume, low resistance - and stretching - is ideally suited to reduce the size of your arm. It strengthens the triceps - while stretching everything else. #2. Dance, Dance, Dance - This is the secret to arm slimming. It also has the added benefit of improving your fun while gallivanting around in a skirt. Of course - I'm not talking about slow dancing. We're talking work it, girlfriend. *Smile* Don't know how to "et down like a lady? Don't feel bad - I didn't either. In fact - I was never big"into dancing - as a guy. I didn't hate - but I certainly wasn't drawn to it. I want you to rent / buy a jazzercise - dance aerobics video. These tapes include killer routines that will force you to begin stretching and moving like a female. Once you've found a rhythm & sense of music & exercise (a month?) - I want you to accentuate this program with dancing hard to music video's on television. Shock the System - Years ago, I read Arnold Schwarzanegger's first book entitled The Education of a Bodybuilder. I recalled he spoke of occasionally shocking the muscles to wake them up - with over 50 sets of squats. I sometimes employ a similar technique on my body - and arms. This, goes hand-in-hand with your dance, dance, dance routine. It's time to put it to use. *Smile*. If you flail around on a dance floor in heels for an extended number of hours - and stay up well past your bedtime - you'll start burning calories like nothing you've ever done in your life!